Here are some events I think you guys will like. If you have anything else just leave me a message at the bottom of the post or if we are friends on Facebook or twitter hit me up there. My email is clenz@mac.com. This if for the Treasure Coast Only. This month I’m looking for free Christmas meals and food or toys for kids who cannot afford. Contact me if you know of any. If you have an important meeting or event coming up let me know. Here are some agencies for Christmas meals and toys. Children under the age of 61 can get one free toy. Any assistance is first come and served. Parents applying in Palm Beach are often single parents as well as families in poverty. Multiple sites operate a Angel Tree Christmas program as well as regional Toys Shops. This allows a member of the community, whether in Palm Beach or St. Lucie County, to buy a gift for a child. The case managers at the Salvation Army will ensure the free present gets to a needy family. They also have Turkeys at Thanksgiving, thrift shops to buy games, and more. Various social services are run. Palm Beach and Belle Glade Salvation Army centers are at 686-3530. Martin County families can dial (772) 288-1471. Another Palm Beach Center is in Boca Raton (phone 561-391-1344) or Lake Worth (dial 561-968-8189). A St. Lucie County based non-profit. Donations allow it to offer gifts and other assistance at Christmas. This charity focuses it free holiday programs on Stuart County residents. There may be stocking stuffers for children, food baskets at Christmas, toys, games, and holiday dinners. When: Saturday, December 19, 7:45- 10 PM. Where: in the Legends Room at Duffy’s Sports Grill of Stuart South, 6431 SE Federal Hwy- south of Cove Rd. Directions: Location is well marked on east side of Route 1 in south Stuart. From 95, take rt 76 (Kanner Hwy) about 0.5 miles north to Cove Rd (light), make right and travel east about 2.5 miles to rt. 1. Make right at light and Duffy’s is on other side about 1 mile south. Martin County DEC. 7 pm at the Martin County Democratic headquarters at 948 SE Central Pkwy in Stuart. A Christmas Day dinner is served as part of Our Father’s Table Soup Kitchen. Free Christmas meals are offered for families in poverty. Volunteers serve them and also collect toys. Companionship, counseling, and other support is arranged too. The Hobe Sound Nature Center is seeking volunteers to participate in the annual Jonathan Dickinson State Park Christmas Bird Count on Sunday, December 28th. Experienced and amateur birders are all welcomed. This count is a part of the National Audubon Society’s Christmas Bird Count, which began over a century ago and is held throughout the western hemisphere. To volunteer for the Jonathan Dickinson Bird Count, contact the Hobe Sound Nature Center at (772) 546-2067 or via our website at www.hobesoundnaturecenter.com. January 12. Awake the State Treasure Coast. For more information go here. If you call a politician a vulture isn’t that an insult to the vulture? Here is the fabulous Sharon Lux from the Treasure Coast Progressive Alliance. Vultures are defenders of the Environment. These are birds that have a job. One of the main misconceptions about vultures is that they spread disease. This is absolutely untrue. 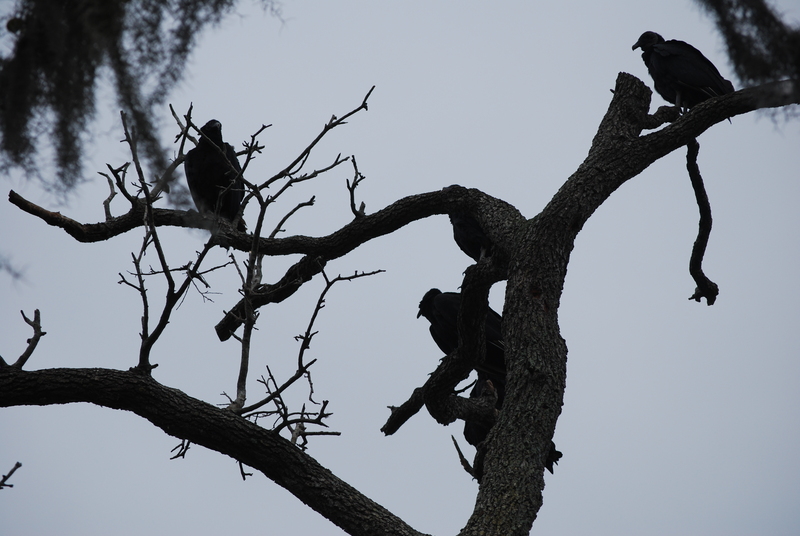 In fact, the opposite is true… vultures actually prevent viruses, bacteria and other pathogens from spreading in the environment. A vulture’s stomach acid is a unique compound that not only allows the bird to ingest disease processes, but also removes said disease from the environment. Once a virus, bacterium or other type of disease goes into the vulture, it never comes back out! 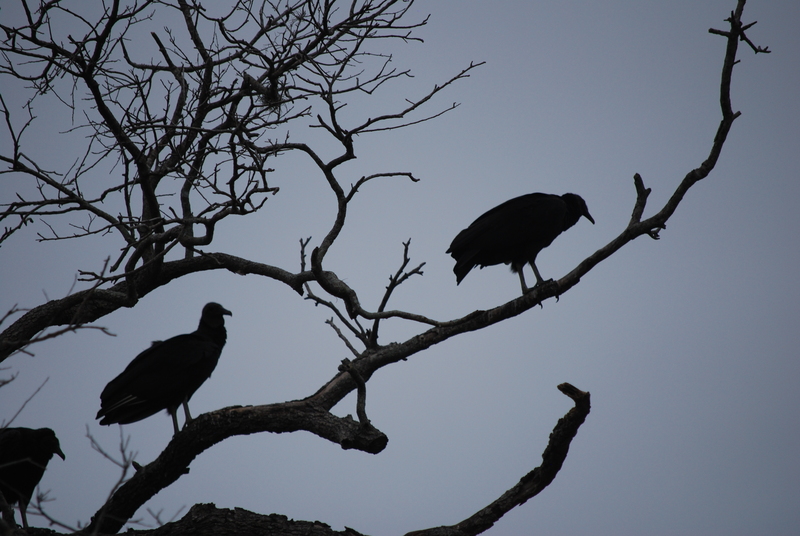 Vultures help stop the spread of rabies, anthrax, cholera, brucellosis and many other pathogens that could otherwise harm other wildlife and even humans! Fun Fact: The Cherokee name for vulture means Peace Eagle – because unlike most meat eaters, vultures do not kill for food. They don’t kill the alive. They only eat the dead. 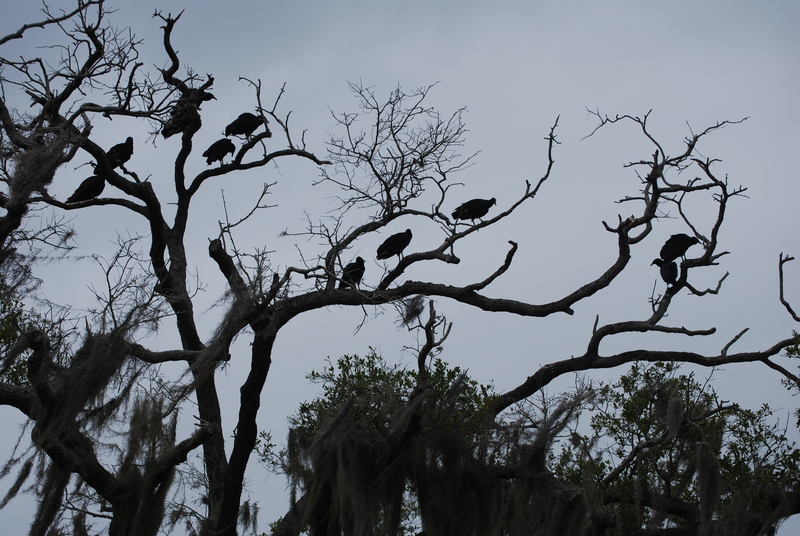 Vultures are my spirit birds. you will be noticed more for what you do than how you appear. teaches us how to soar above our limitations. rescue and change are imminent. So in this video RIck Scott came to the locks and while he was there the vultures showed up and when he left they left.